Apple SVP Craig Federighi took the wraps off Apple's answer to comprehensive mobile health tracking and interactive repository for taking control of data from a growing number of connected health devices. Health is actually an app that collects and stores various data like steps taken, blood pressure and other metrics in a digital hub. 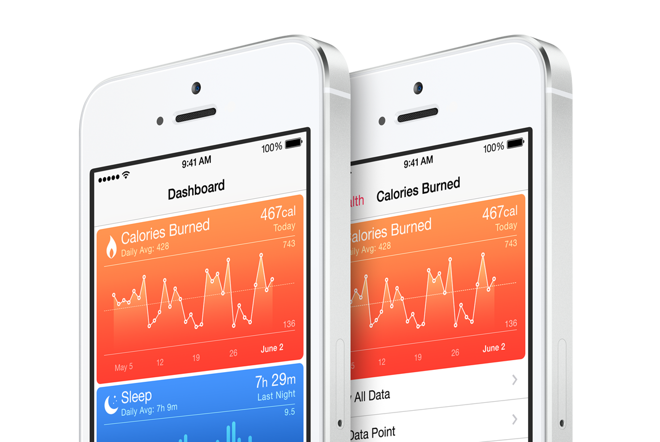 Developers can tap into HealthKit and deliver data to Health, which may be viewed by end users. Alternatively, users can enter their own information through the Health app. Nike was tapped as one of Apple's first partners through the company's Nike+ digital brand, which has in the past quantified activity via a proprietary metric called NikeFuel. The Mayo Clinic is also working with Apple on a patient monitoring tool that ties into Health. Specifically, when a patient takes a blood pressure measurement, the data is saved and checked against previous personal results. If a reading is abnormal, the data can be automatically sent to a user's doctor for quick and seamless response. Instead of having to dive into specific compartmentalized apps, with HealthKit users will have quick and easy access to all health-related information stored in one place.